Hello Everyone! I have a very festive project I would like to share. 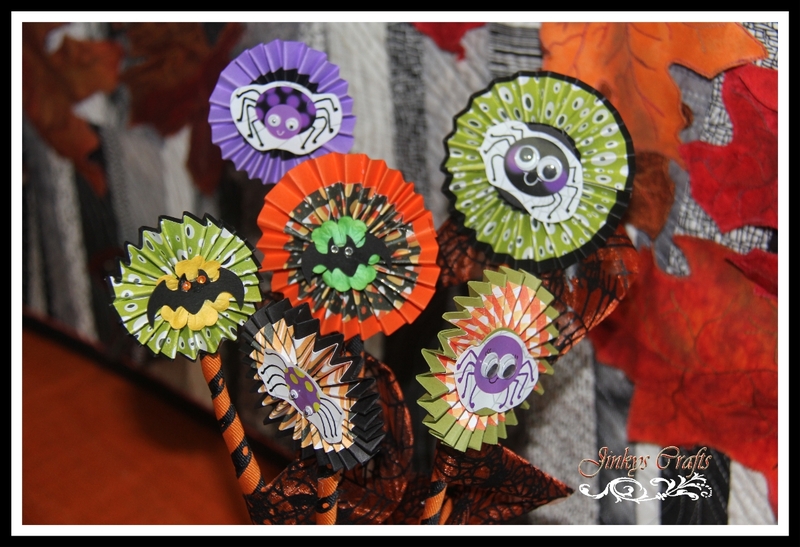 Paper Rosettes are very popular right now,they are popping everywhere, especially this Fall season. 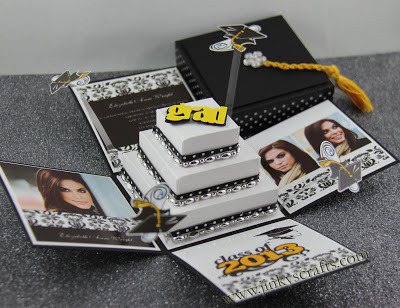 So when I received my Ebony & Ivory cardstock from Core'dinations and the Color Me Crazy collection by Petaloo, I knew exactly what to make for my May Arts blog post. I decided to make a Coffin Paper Rosettes Bouquet. 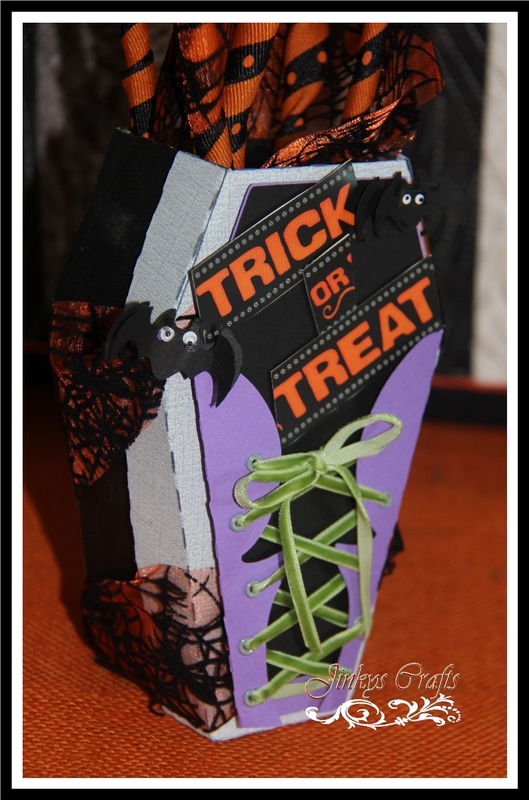 You will find my step-by-step photo tutorial below on how I made this Halloween project. 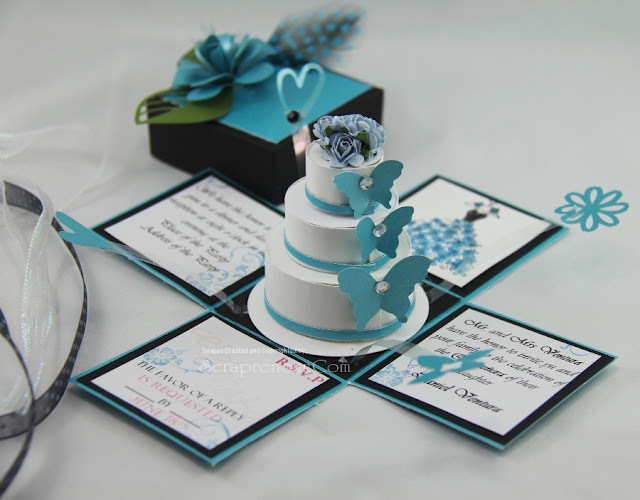 The Core'dinations cardstock + Petaloo flowers + May Arts ribbons are a perfect compliment to each other. I used the Petallo Flowers to decorate the center of my Folded Paper Rosettes. 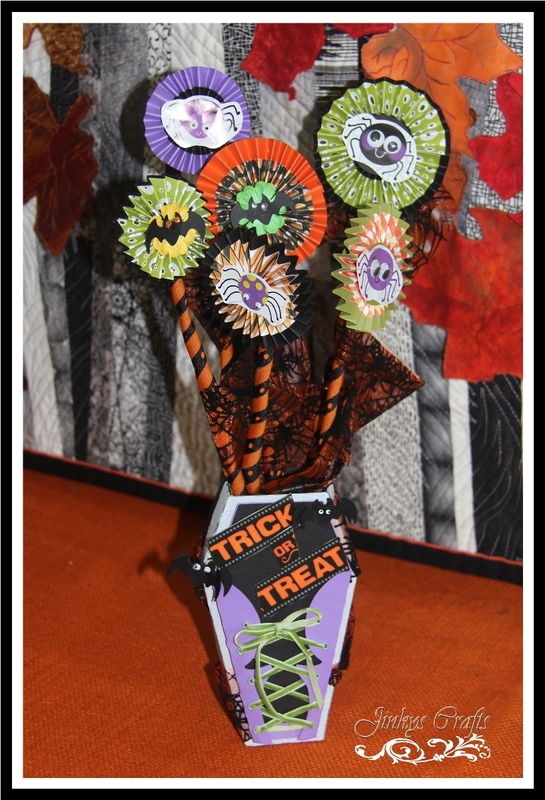 I added Halloween Patterned paper to my plain cardstock to give colors to my flowers. 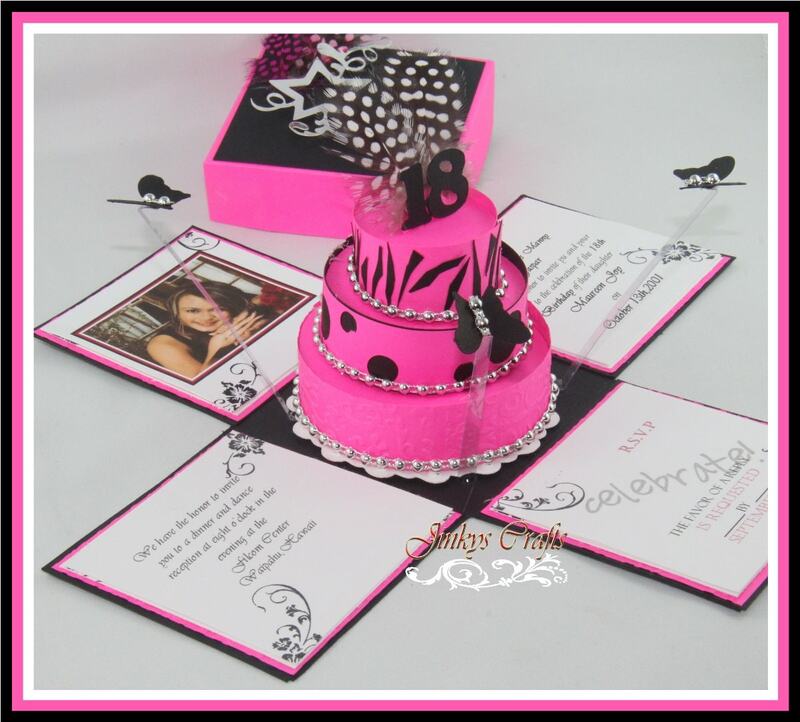 Also, I covered my skewer sticks with Grosgrain/Center Polka Dot Band. 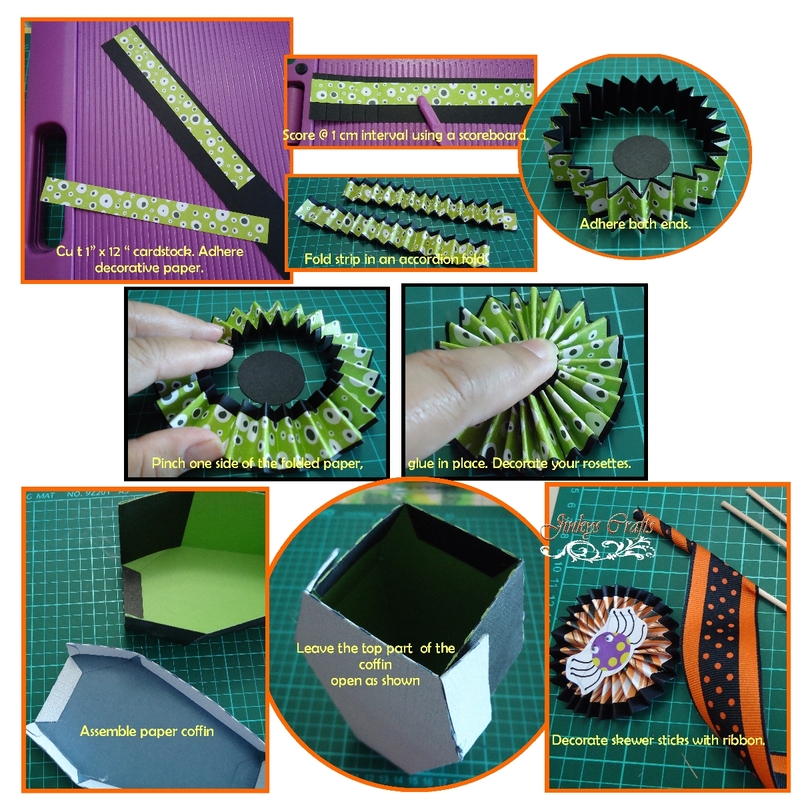 Please click the image below to enlarge the step-by-step photos of how I made my Coffin Paper Rosettes Bouquet.